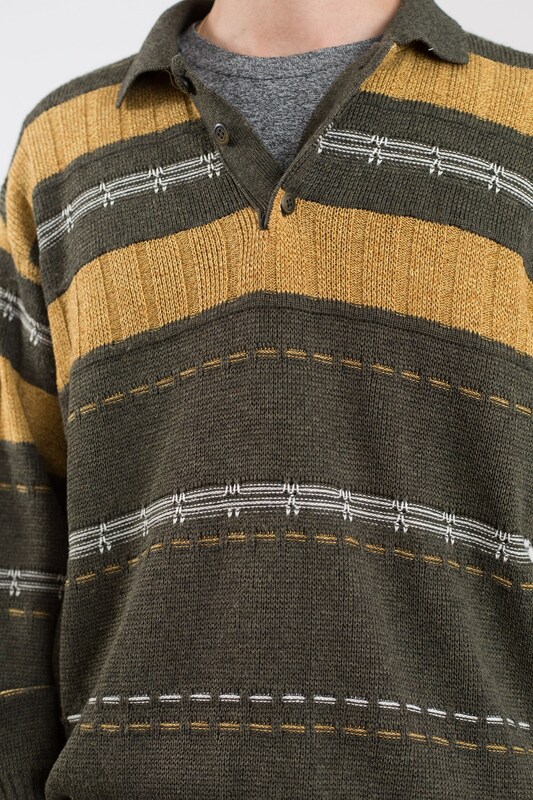 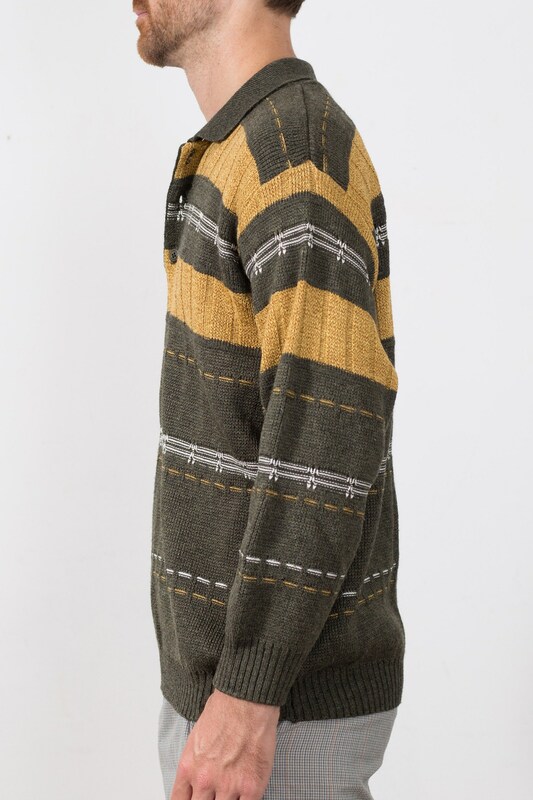 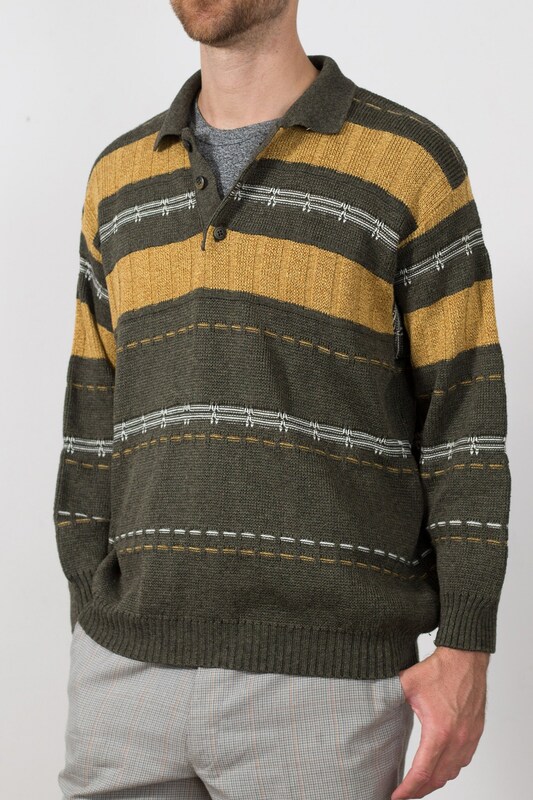 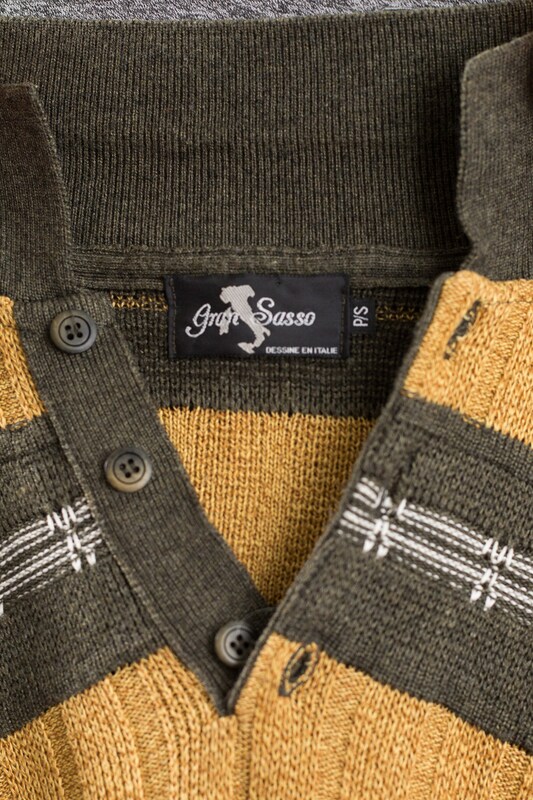 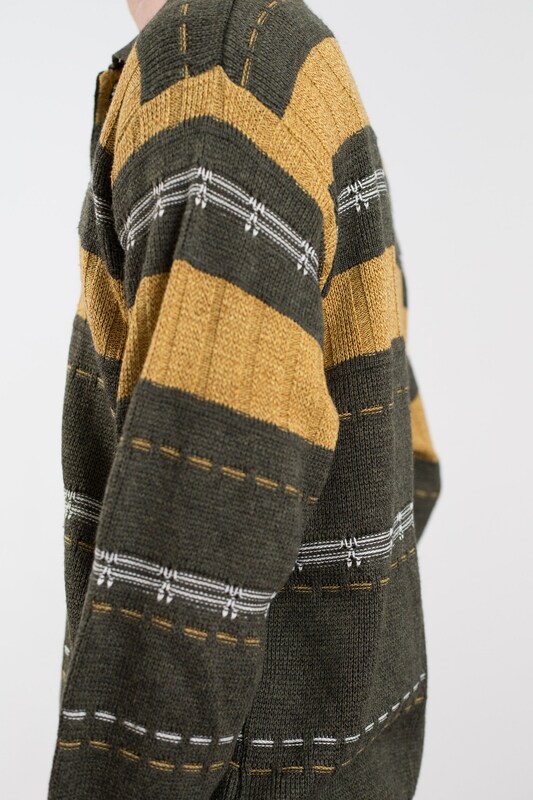 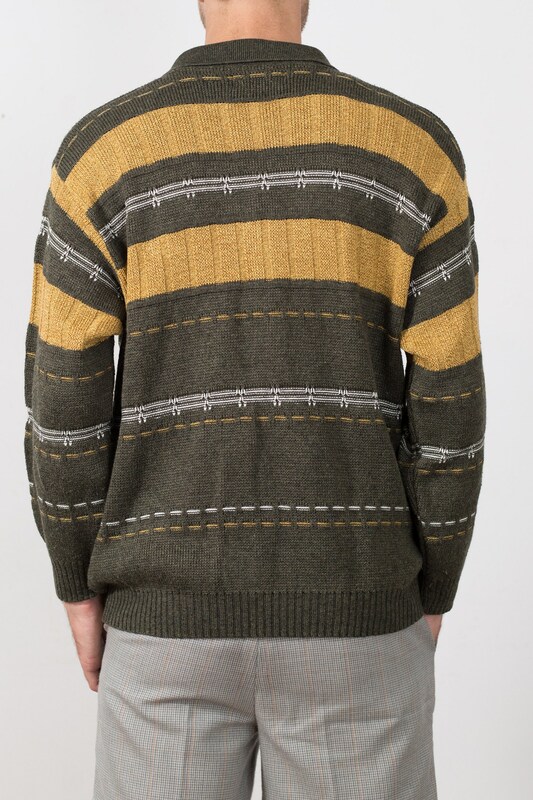 This is a stylish vintage medium green pullover sweater with a yellow and white stripe pattern, buttons and collar. 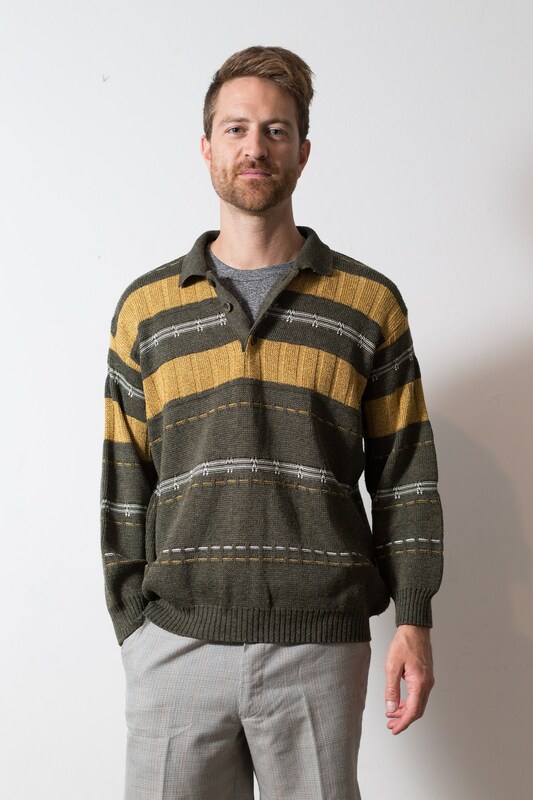 Fits Like: oversized small, regular medium. 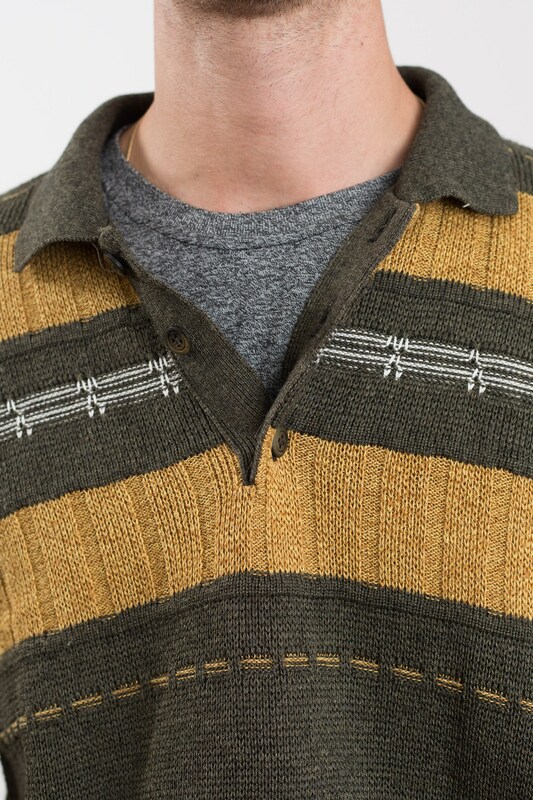 Length from neck seam to bottom of sweater: 26.5"